Hakuna Matata – Quite literally, I have no worries. 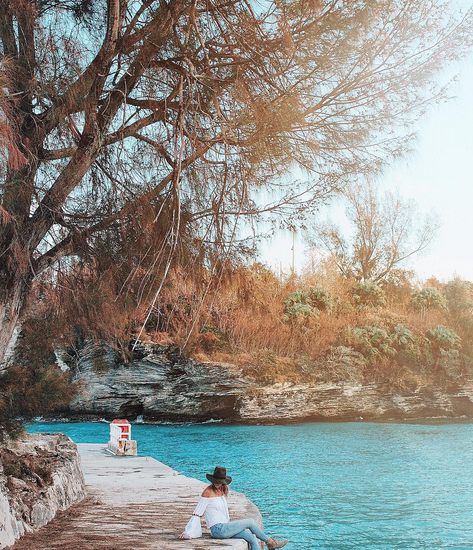 As most of you know, I moved to Bermuda 2 months ago – and wow … has it been an amazing shock to my system. I’m still getting use to the fact I can wake up everyday, open the curtains and see the ocean! After living in such a fast pace city for so many years, one of the hardest challenges I’ve had to fight with, is slowing down and relaxing. Sounds ridiculous, but life in London was incredibly fast pace, everything was a permanent rush. Here in Bermuda, it could NOT be more opposite. Everyone is incredibly laid back with a mañana attitude, which I love. I will never forget my first experience driving here, not only did I get insanely lost (FYI maps don’t work here), but everybody beeps their horns left, right and center! I genuinely thought I must be the worst driver in the world, with the amount of horns that were going off around me, but it turns out, it’s a form of polite communication – everyone is having a conversation with their horns. You will never see anyone beep their horns out of aggression, only out of appreciation and recognition – it’s actually borderline offensive if you don’t reply with your horn in a friendly manner! I found this incredibly refreshing and feel like it totally sums up how happy this place is. Over the last couple of months, other than settling into work, finding my feet, surviving not one, but two hurricanes, making friends with locals and expats – I have also been endlessly exploring this beautiful country! 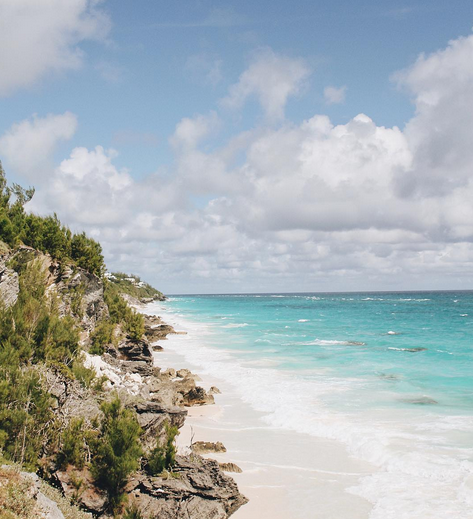 Below is a little (definitely more to come) list, of my favourite beaches in Bermuda. 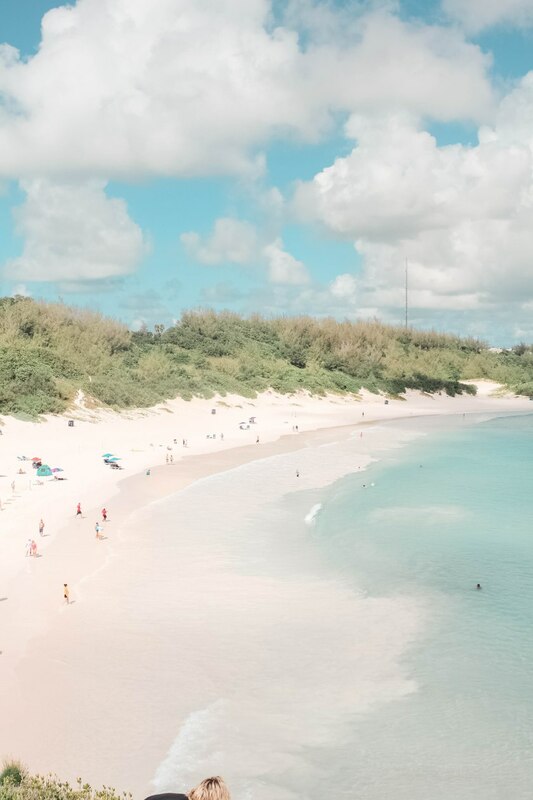 They’re apparently 35 beaches here and I’ve probably only seen 10, so I will no doubt be updating this list soon, as I plan to visit them ALL. This beach has been ranked in the top 20 beaches in the world, (can’t quite believe it’s on my doorstep). It’s the sandiest, most gorgeous beach and is definitely one of my favourites. This cove is around the corner from the long stretch of sand! Don’t miss it. Climb the the top of the large rock and get a great snap! 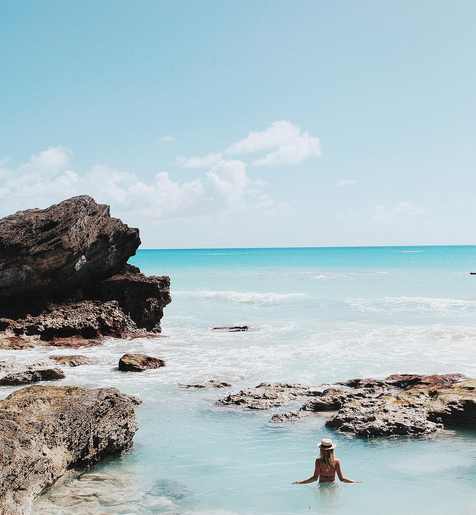 This place is gorgeous and perfectly hidden from the busy beach of Warwick Long Bay. Around Jobson Cove are about 5 more beautiful beaches. Definitely worth a long beachy walk around here. This places is up there with Horse shoe bay! Another long stretch of white, pinky sand. This is the perfect place to watch a sunset, the colours are magical. Astwood Cove Beach - big cliff looking over endless blues. This place has a little sandy beach, but is overall very scenic. I adore this beach, it’s totally relaxed, scenic and has a wonderful atmosphere. This is another hidden gem, every time I’ve been here, it hasn’t been busy – and that always baffles me. It has the most divine steps leading to a small stretch of white sand. I LOVE this beach. When the tide is out, it’s definitely the beach you can walk the furthest on! As I say, they’re more beaches to come, so I’ll be back soon!